This hotel is 20 minutes from Albuquerque International Airport and offers a free shuttle. 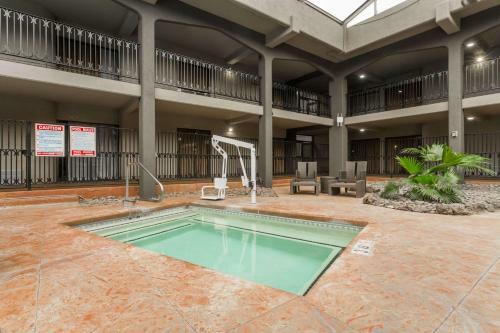 A heated indoor pool and spacious rooms with a seating area are featured at this hotel. Free WiFi is provided. Offering an expansive portfolio of services, distinctive indoor motifs, unmatched recreational and fitness facilities with a level of customer care and attention that makes Wyndham Albuquerque Hotel & Conference Center a unique and compelling Southwestern hospitality value.